I recently had a conversation with my anonymous friend “Mahesh”. 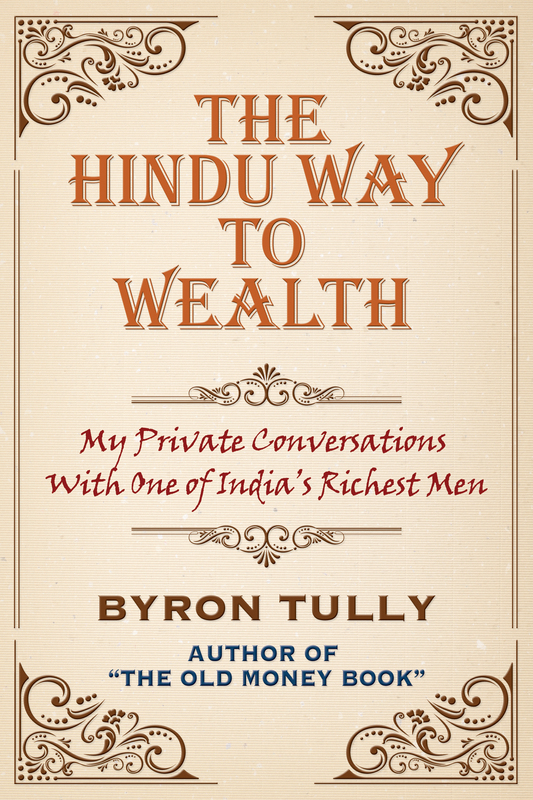 We collaborated on the book “The Hindu Way To Wealth“, in which I spoke with him about the fundamentals and philosophy of his culture’s perspective on wealth. He’s made a lot of money, and seems to do exactly the opposite of what I recommend in The Old Money Book. That is to say, he throws it around like a drunk lottery winner: spending on luxury items, spontaneous giving in every direction, spoiling family members and friends. It makes me cringe sometimes, but he keeps me laughing. He calls a couple of times a year, just to say hello. When I asked him to slow down so I could write, he growled, “If you’re going to work now, I’m going to work. I’m not having you work more than me.” And then he said goodbye and hung up, laughing. It’s been a good year for my friend from India. And he’s passed it right along to those who haven’t been as fortunate, and to those in his orbit who are just plain lucky. And probably grateful. It’s such a beautiful book! But I’ll have to re-read it again slooooowly, to take it all in!